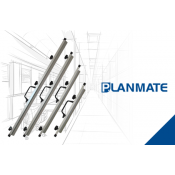 Planmate offers 18 different plan clamps from the 5 biggest brands Planmate, Planhorse, Hang-a-Plan, Draftex and Universal in the 4 most common Blueprint and Building plan sizes from A0, B1, A1 to A2. We supply plan clamps to all the major capital cities of Melbourne, Sydney, Canberra, Brisbane, Adelaid, Perth, Hobart and the rest of Australia. Plan clamps are also referred to as binders or planbinders, plan racks or plan clips. All plan clamps are designed to easily store and file all types of building plans, posters and blueprints. Plan clamps are usually used in combination with either a mobile Plan Trolley or Wallmount unit to file and store plans. 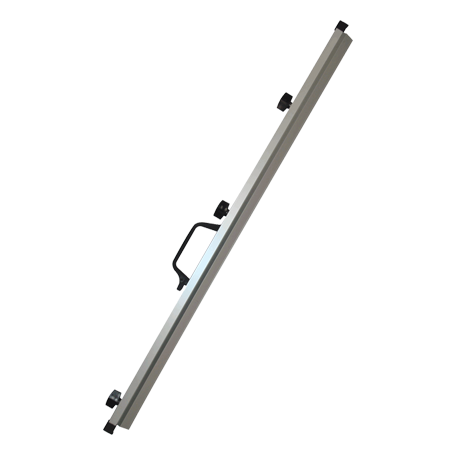 See our plan trolley and wallmount categories for different options and product choices. 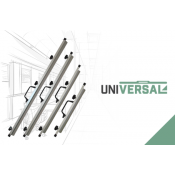 The majority of all different plan binders store up to 1000 plans and/or drawings per clamp, are durable and offer a lifetime replacement warranty. Plan clamps can be used in the office or outdoors on building and construction sites. The PlanMate A0 Clamp features a triple wing nut securing system for extra holding capacity. It will.. The Planmate B1 Plan Clamp features a triple wing nut securing system for extra holding capacity. It.. The Planmate A1 Plan Clamp features a triple wing nut securing system for extra holding capacity. It.. The Planmate A2 Plan Clamp features a triple wing nut securing system for extra holding capacity. It..
A box of 10 A0 Planmate Plan Clamps. The PlanMate A0 Plan Hanger features a triple wing nut sec..
A box of 10 B1 Planmate Plan Clamps. The PlanMate B1 Plan Holder features a triple wing nut sec..
A box of 10 A1 Planmate Plan Clamps. The Planmate A1 Plan Binder features a triple wing nut sec..
A box of 10 A2 Plan Clamps. The Planmate A2 Planbinder features a triple wing nut securing syst.. 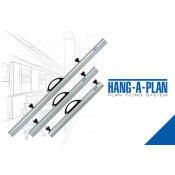 The Planhorse Plan Clamp System was designed specifically for filing and storing Architectural Plans.. The Planhorse Plan Binder System was designed specifically for filing and storing Architectural.. 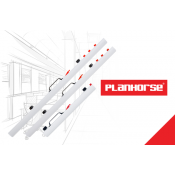 The Planhorse Planholders are specifically designed for filing and storing Architectural Plans,..
GENERAL Plan binders General Plan Binders offer users a simple and strong economical Plan..
QUICKFILE binders Hang-a-plan QUICKFILE Plan Binders save valuable time by making it quicker an..